We recently sat down with Dr. Sonia Ehrlich Sachs, Director of the One Million Community Health Workers (1mCHW) Campaign to talk about the important work that CHWs do and the pressing need for the scale-up of CHW programs. 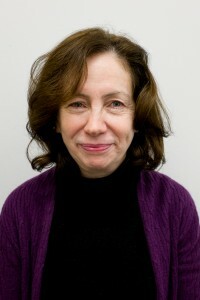 Dr. Sachs is a pediatrician and public health specialist. She has practiced medicine for over 20 years, 14 of which she spent at Harvard University Health Services. In 2004, she joined the Earth Institute and currently also serves as the Director of Health for the Millennium Villages Project. The single biggest obstacle standing in the way of national CHWs programs in countries of sub-Saharan Africa is the unwillingness of official international donors to partner with low income countries in helping finance their evidence-based, and feasible roadmaps to deploy and manage outreach health workers at national scale. We confronted this obstacle first hand in the Campaign’s work in Liberia just prior to the Ebola outbreak. We worked closely with the Liberian Ministry of Health on a strategy for a national scale outreach Roadmap and on assisting with donor outreach. Ironically the international community did not make the funding available, considering CHW program scale-up in Liberia to be a low priority. Unfortunately, a few months later the whole world learned that CHW program scale-up in Liberia was a priority beyond imagining in the face of the galloping epidemic of the Ebola virus. Our work at the Campaign, whether in response to the Ebola epidemic or in the day-to-day scale-up discussions with the Ghanaian government, reinforces one key message: CHWs save lives and should be a high priority of all African governments and their international partners. CHWs are an important cadre responsible for reducing disease burden and saving children’s and maternal lives in low-income settings. The outreach cadre offers a vital link between households and the clinics but they can also help keep track of disease outbreaks at the very earliest occurrence i.e. at the households before the escalating diseases come to the attention of the health system at the clinic level which is often in the advanced stages of a disease spread. So CHWs are a key component of public health surveillance. When planning a scaled CHW program it is crucial to know the demography, topography, infrastructure of the communities, and the existing programs of what is mostly volunteer village health workers. It’s impossible to achieve successful scale-up of CHW programs unless the government knows exactly where CHWs are needed, and what resources, training, supervision and remuneration to provide them in order to service the assigned communities..
We promote integration of broadband and mobile health technologies into primary care health system as a low cost way to improve the quality of health service delivery. CHW’s use of smart phones with an application of, for example, CommCare provides decision makers, managers with near real time information facilitating continuous quality improvement. The rapid turn around of data allows adaptive management, quality control supervision, and surveillance that can quickly detect emerging diseases. Two main data gaps exist. One is the survey-based data that would help with situation analysis on the basis of which a national professional outreach cadre would be planned. The second is the on-going, real time data that informs the day-to-day functioning of the program, such as provided by CommCare and similar smart-phone based applications. To encourage the international community to fill these gaps and support the strategic expansion of CHW systems, the Campaign built the Operations Room, a data platform that is an interactive online inventory of public, private, and NGO-operated CHW programs in sub-Saharan Africa. We foresee expanding the Operations Room to include health workforce analytics and real time data on CHW activities. Our goal is to promote the informatics system that has proven to be effective in Millennium Villages, where CHWs are provisioned with a smart phone based application, CommCare which has been effective in reducing child and maternal mortality by providing: (1) decision support at point-of-care, (2) performance monitoring and (3) data-based adaptation and surveillance all of which improve the quality of care of health care delivery in the community. This actionable data flow is in the context of an existing package which consists of curriculum, job aids, training and supervision for CHWs and their supervisors. The post by Dr Sachs rightly notes the potential of community health workers in some settings to contribute to expand access to some essential health services and improve health outcomes. Recent research, coordinated by the Global Health Workforce Alliance, has focused on assessing the cost-effectiveness of health programmes led by various types of community-based practioners, finding that these cadres can represent a cost-effective policy options in some contexts (Mc Pake et al, WHO Bull 2015 http://www.who.int/bulletin/volumes/93/9/14-144899.pdf?ua=1). The case for investment in these cadres in some contexts has therefore a stronger empirical basis now. However, support for community based practitioners should not take the form of one-off vertical initiatives disjointed from the rest of the health system: national governments that consider community-based practitioners a relevant policy option for their country contexts should invest – and be supported by the international community – in order to ensure that these cadres are adequately supported by and integrated in the health system. As Campbell et al note in a recent editorial (http://www.who.int/bulletin/volumes/93/9/15-162198.pdf?ua=1), maximizing the impact of community-based practitioners entails that (i) national policy-makers move towards the full integration of community-based practitioners in public health strategies, allowing these cadres to benefit from formal employment, education, health system support, regulation, supervision, remuneration and career advancement opportunities; (ii) development partners and funding agencies see the value of investing in these cadres and contribute to the capital and recurrent costs incurred when expanding this workforce; (iii) normative agencies such as WHO and ILO address the evidence and classification gaps by developing more precise definitions and categories for these cadres. Related to this last point, WHO is planning on developing guidelines on the role, education and integration of community-based practitioners for publication in 2017. Dr Sachs also points to the potential of these cadres in assisting in crucial data collection efforts: equally critical to the success of these programmes will be to ensure that we have better data on community health workers and other types of community-based practioners themselves. All too often these cadres sit at the margin of health systems, and fail to be appropriately counted and measured, making their management and performance assessment problematic. Efforts at developing better metrics for these important cadres should take place in the context of broader initiatives to enhance health workforce information systems. harmonized, integrated approach for annual and timely collection of health workforce information (http://www.who.int/hrh/documents/brief_nhwfa/en/).